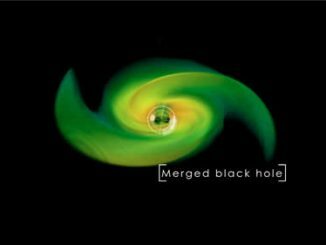 Heidelberg, Germany-(ENEWSPF)- Quasars are luminous objects with supermassive black holes at their centers, visible over vast cosmic distances. 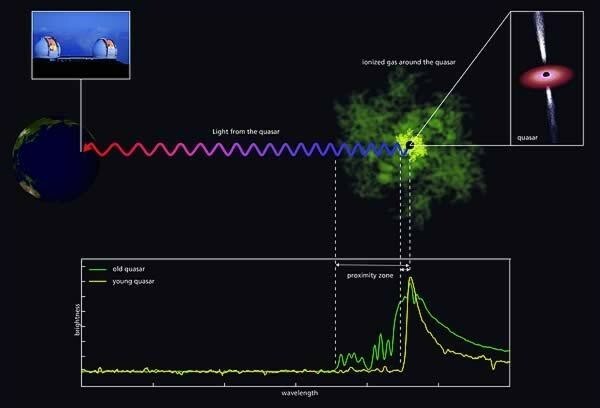 Infalling matter increases the black hole mass and is also responsible for a quasar’s brightness. Now, using the W.M. Keck observatory in Hawaii, astronomers led by Christina Eilers have discovered extremely young quasars with a puzzling property: these quasars have the mass of about a billion suns, yet have been collecting matter for less than 100,000 years. Conventional wisdom says quasars of that mass should have needed to pull in matter a thousand times longer than that – a cosmic conundrum. The results have been published in the May 2 edition of the Astrophysical Journal. The work described here has been published as A. C. Eilers, “Implications of z ∼ 6 Quasar Proximity Zones for the Epoch of Reonisation and Quasar Lifetimes” in the May 2 edition of the Astrophysical Journal. J. Xavier Prochaska (University of California, Santa Cruz) and Zarija Lukic (Lawrence Berkeley National Laboratory). Both A. C. Eilers and C. Mazzuchelli are members of the International Max Planck Research School for Astronomy and Cosmic Physics at the University of Heidelberg.